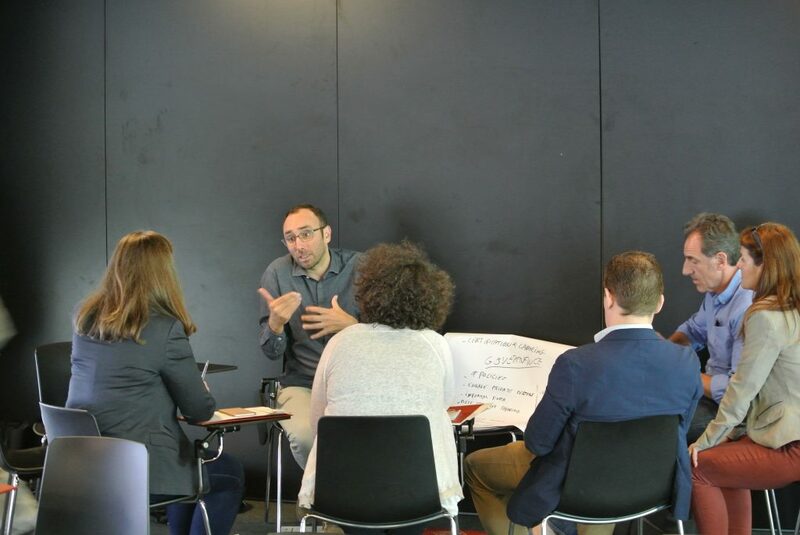 The Tourism Eco-Forum 2018 took place the past May 24 at the Media-Tic Building in Barcelona. It was attended by more than 50 experts and practitioners from 10 European cities and other key international stakeholders like OECD. 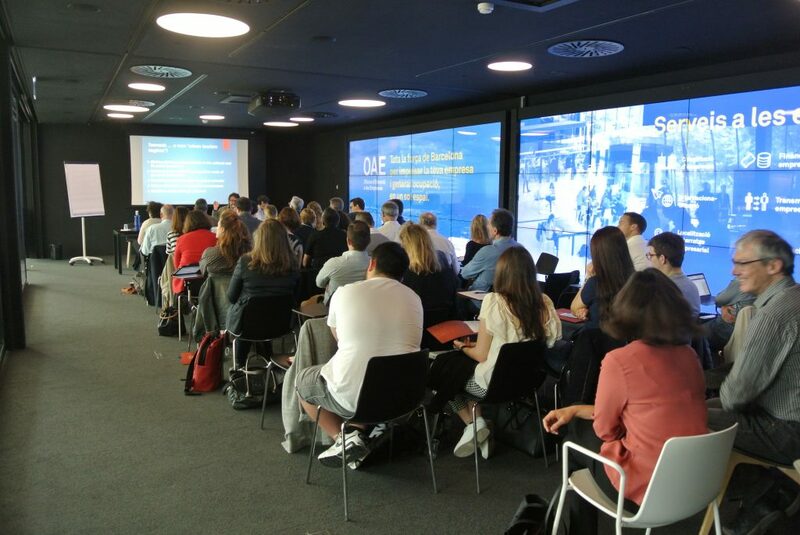 This event focused environmental and social sustainability issues related to European urban tourism such as mass-tourism, gentrification, jobs quality and stakeholders‘ participation. 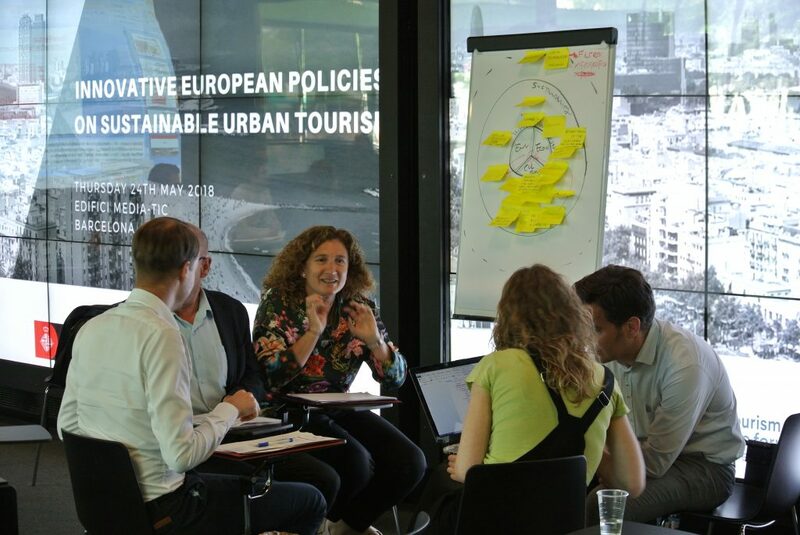 During the workshop the study “Urban Tourism Sustainability in European Cities” on innovative policies for sustainable urban tourism was presented and discussed. It was co-organized by eco-union NGO and the City Council of Barcelona with the collaboration of the University of Rovira i Virgili (URV). 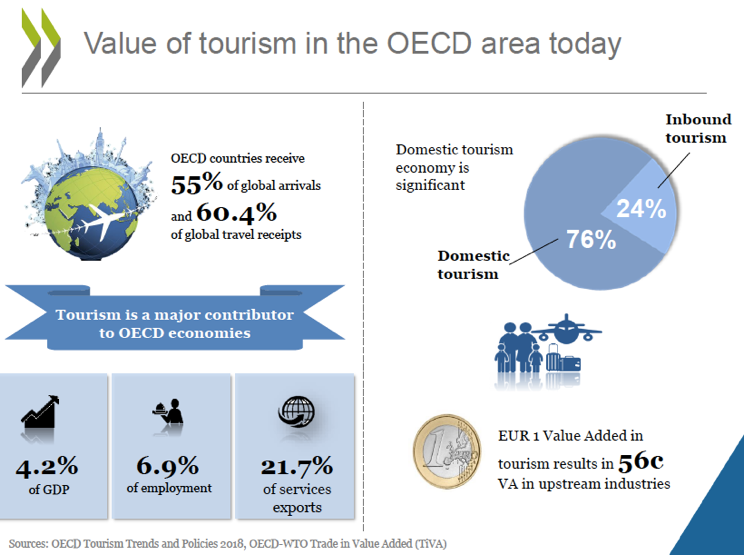 In the last years, tourism management has received an extraordinary attention from public and private actors on how to monitor, evaluate and improve its competitiveness. However, little attention has been put on developing governance frameworks and policy making instruments to deal with the environmental and social sustainability of urban tourism derived from mass tourism. 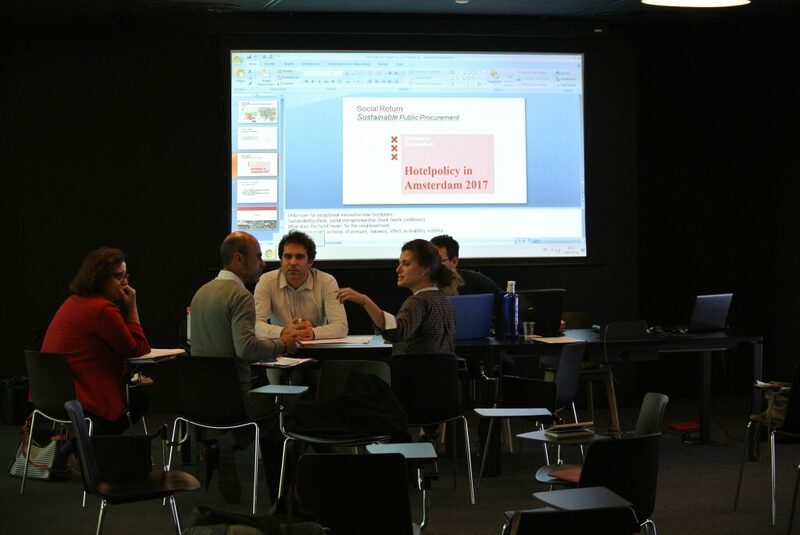 Participants invited were tourism directors or policy officers from major European cities (Barcelona, Paris, Lisbon, Stockholm, Marseille, Madrid, Palma de Mallorca, San Sebastian, Santiago de Compostela and Valencia), as well as local and international stakeholders working on urban tourism policies (OECD, etc.) and researchers, experts and public/private agencies related to urban tourism. Paolo Russo from University Rovira I Virgili (URV) proposed a discussion framework to analyse the problem of tourism governance. Cities are hubs that are characterized by flows of capital, people, ideas, primary resources, etc. In the post-industrial global economics, the information age has placed more and more emphasis on cities as connectors in the global network of production and consumption. Since democratization of travel and invention of « holiday making » in the 20th century, tourism has been pivotal in transforming the modern city and anchor regional and global flows to the local context. Cities have changed from traditional forms in the medieval times to first, second and third generation metropolis. According to John Urry, the modern state is on the move and there is a need to plan the spaces where this mobility takes place. Modern cities are characterized by mobilities such as students, workers, machines, crime, and so on. Places become increasingly dependent on mobile capital and do not consider the interests of the local population. How is tourism shaping modern cities? Today, it would be inconceivable to propose that cities become less attractive or should degrow. Debates about regulation and balance between flows and services that improve the quality of life are marginalized. Places are becoming increasingly dependent on mobile capital and do not consider the interests of the local population. Over-tourism has led to a change in perception by this mobile society. As a result, cities are becoming citizenless space. Cities like Barcelona are already facing problems linked to this dramatic increase of tourism. However, the main strategy is still oriented towards growth objectives. 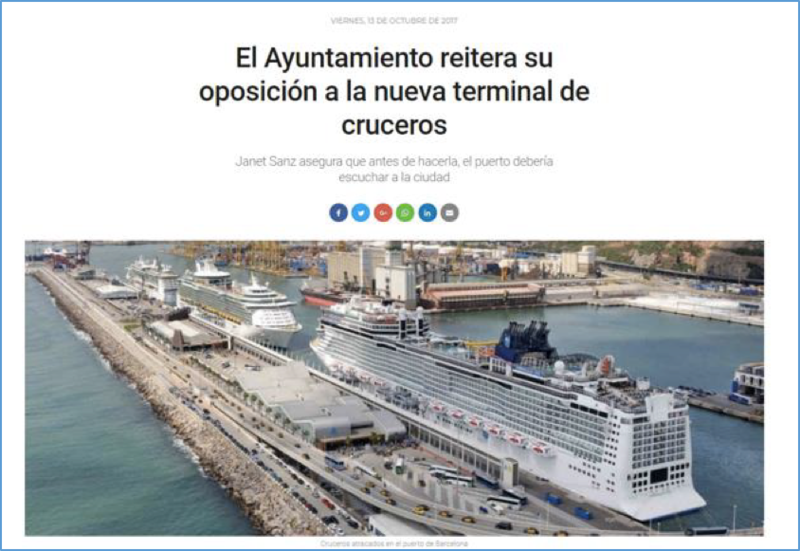 In the case of cruises, the idea is to a new terminal despite growing discontent among locals due to the massive amounts of tourists overcrowding the city. And cities like Venice are receiving two times more tourists than they have residents every day. 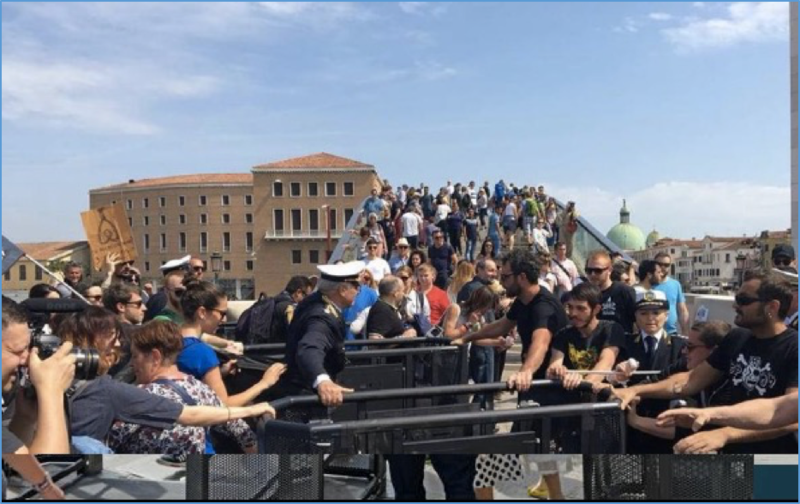 This situation leads to Venice not being a city anymore, but a theme park or a venue. Smart city strategies and new tools for governance. 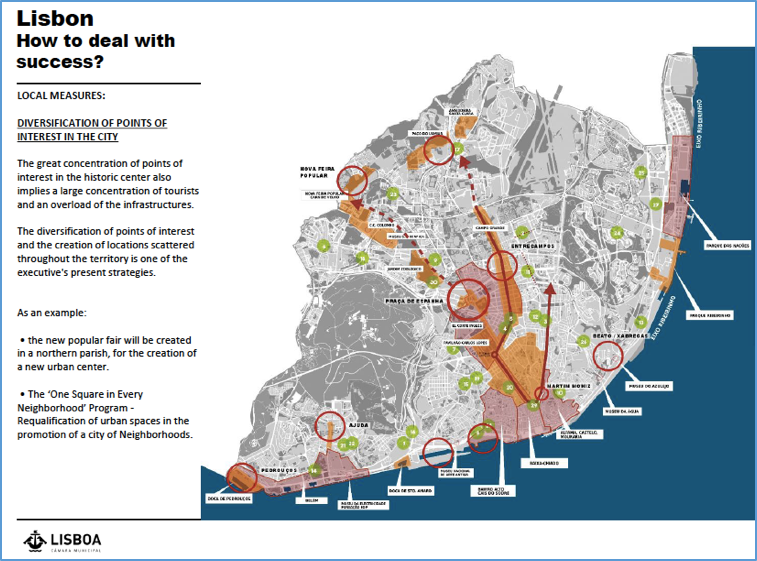 Towards… a new ‘urban tourism regime’? (Re)negotiating local specificities in the national and EU policy framework: working conditions, sharing economy regulation (Airbnb…), etc. Reinforcing the regional/metropolitan scale of (tourism) governance. Escalating local governance to global networks to achieve the critical mass, sharing common issues with a league of cities. Definition of new strategic alliances. 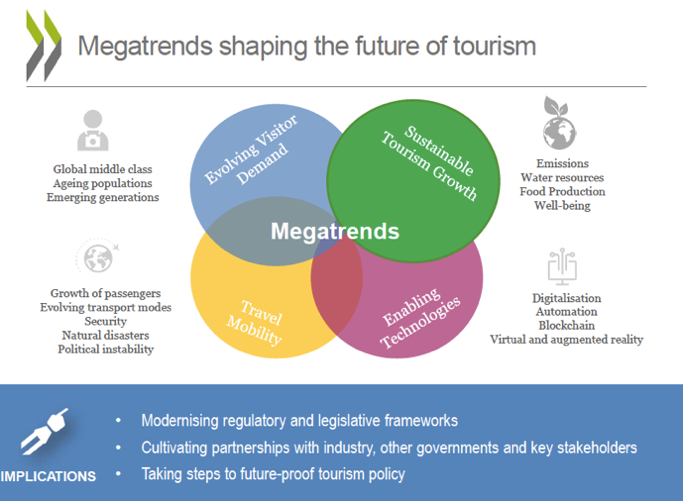 Moreover, there is a growing interest to evaluate the relationship between tourism and climate change, as it is going to impact the tourism industry in the medium and long-term. 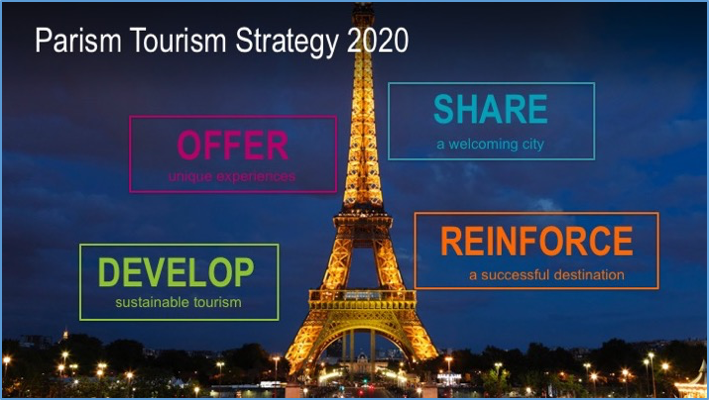 Delphine Assouline, head of Tourism at the Paris Council, presented the Paris tourism Strategy 2022, related to the 47 million tourists in Paris and Île de France in 2017 (58% French people and 42% foreigners). Personal commitment of the Mayor of Paris. A decrease in the carbon footprint of the whole food chain. A mobility plan to decongest the centre of Paris, with an increase of resources to public transportation. Planning of new hotels in specific locations, and regulation of informal housing. What is the main sustainability challenge for Paris? In Paris, the level of acceptability higher than in Barcelona or Venice. This does not mean there are no issues or negative externalities (coaches in the centre of Paris, etc.). Vera Pais, Head of Urban Monitoring at the Lisbon City Council presented the current situation. New local accommodation legal framework. New housing policy: evictions restriction for old people; affordable housing for residents, etc. Creation of a tourist tax since 2016. Diversification of points of interest in the historic centre. Increase protection of historical places. Albert Arias, Director of the Tourism Strategic Plan at the Barcelona City Council presented the Strategic Tourism Plan 2020 as well as the main challenges and features. Public opinion is very concerned about tourism negative externalities. Tourists complain there are too many tourists in Barcelona to enjoy the city. Regulate housing market affected by tourism. 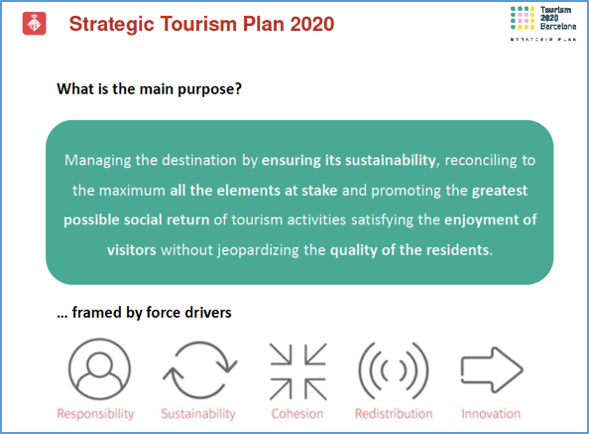 The destination must ensure its sustainability, promoting the greatest social return and satisfying the enjoyment of visitors without jeopardizing the quality of life of the residents. Tourism is a global system but acting locally is needed (and vice-versa). Tourism cannot be tackled as a sector: issues are collective. Stakeholders approach is not enough, collaborative approach is necessary. Quality investment is crucial as it is about how we will define tourism. Tourism growth: how do we better plan it? UNESCO heritage side also have over-tourism, similar issues. 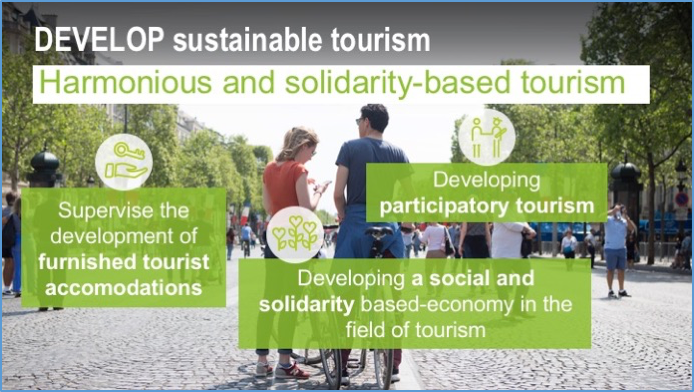 How can we collectively move towards sustainable tourism? Taxation? Export industry? Tourism is a global market, competition is everywhere. Regional and local is an issue of growing importance. What kind of tools and mechanisms to engage with other city departments and public actors, beyond tourism areas? The inclusion of the tourism board as part of the city structure. Establish regular meetings with other departments involved the tourism management. Set up agenda in a horizontal and bottom-up approach. Enhance internal governance via collaborative management. Set up tourism city council with a multi-sectorial approach. How to identify, engage and follow up with private tourism actors and non-tourism related stakeholders (regional/national authorities, Academia, businesses, NGOs, and citizens)? Promote multilevel governance, bottom-up and multi-sectorial approach. Create an institutionalized space to consider stakeholder’s views. Establish Observatory on sustainability policies. Collect and share information about short-term room letting, illegal accommodation. Use Land-planning to organize and control tourism accommodation and hospitality. Tax tourism activities: short room letting, landowners who offer tourism apartments and rooms. Increase municipal regulation to deal with accommodation conflicts more effectively. Promote balanced policies, not only for promotion but also for management of tourism. 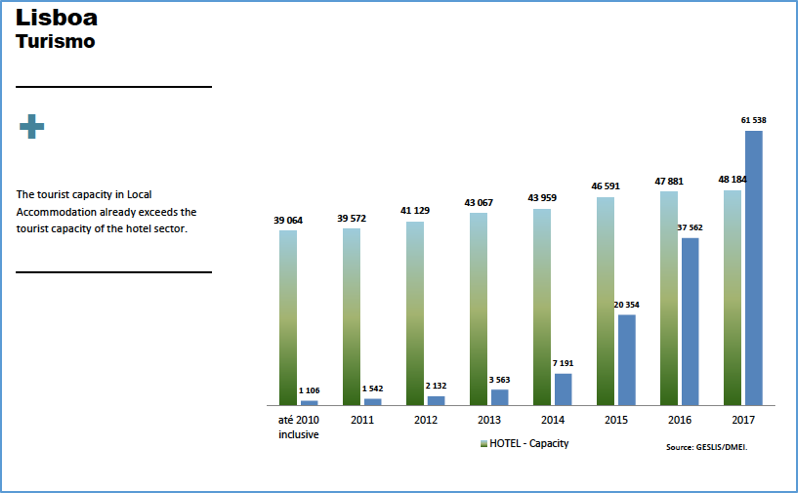 Strength information about resource consumption of tourism. Introduce monetary incentives to promote public transport. Regulate coach management avoiding concentration. Establish public transport cards for visitors and smart pricing. Promote tourism destinations outside the city. Introduce sustainability perspective on tourism infrastructures. Promote better infrastructure planning and comprehensive management of public space. Inform stakeholders about state of tourism, plans and regulations. Raise awareness and disseminate good practices with benefits for residents and tourists. Think about global transition necessary to allow new economic models to emerge. Define information by kind of stakeholder: policy-makers; residents; businesses.